A clear and simple way of helping people identify the highest standard of climbing and mountain skills instruction in the UK. Seeing the Community’s logo is your guarantee you’ll be tied to the rope of an instructor who holds the ‘Mountaineering Instructor Certificate’ – the UK’s top climbing qualification. There are no caveats to this. 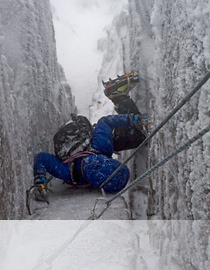 Just qualified instructors who are genuinely passionate about UK cragging and Scottish winter climbing. 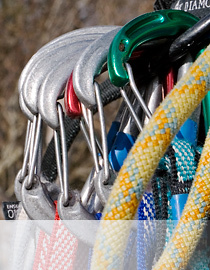 The Mountain Instructors Community is a collaboration of independent climbing instructors who provide climbing and mountain skills training throughout the UK. It offers a unified voice to promote high standards and a logo to guarantee qualification. A kind of instructors’ marketing board if you like. Membership is open to any instructor who has gained the ‘Mountaineering Instructor Certificate’ and who also has breadth to their personal climbing and instructional experience. The ‘Mountaineering Instructor Certificate’ is the only UK qualification covering the full gamut of climbing skills, from single-pitch cragging to Scottish winter. 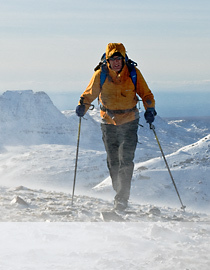 It is the highest in a series of mountain qualifications issued by MTUK (Mountain Training UK). To date, holders of the Certificate have advertised their services without the help of any bespoke logo to convey their qualification (as yet MTUK don’t provide one). So with the public in mind, the Mountain Instructors Community was conceived. It steps into the void and for the first time provides a logo that can be trusted as a sign of qualified climbing instruction. 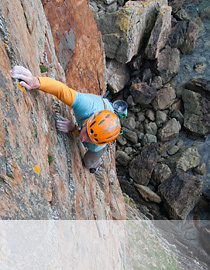 The Community’s values are all about an honest approach to teaching climbing in the UK. Its aim is to become synonymous with top quality instruction and guiding through the integrity of its logo. Individual members will strive to build this reputation as they help you develop your climbing and mountain skills at any level. You’ll get the same high standard of service on easy climbs and mountain walks as you will on the most demanding winter route. The very nature of climbing and our presence in the mountain environment means that an instructor cannot remove all danger from an instructional or guided day. However, by going with the logo you’ll be assured that your instructor has both the experience and qualification, on every type of terrain and in all conditions, to keep risk to a minimum. 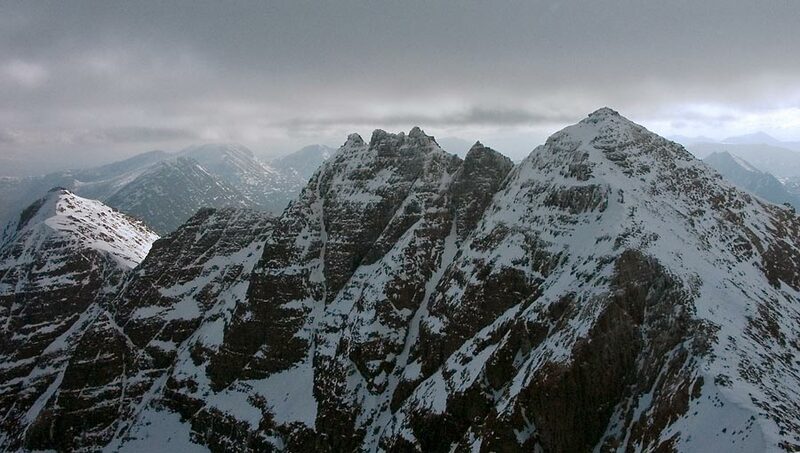 The extensive overseas climbing and mountaineering trips of individual members is all valuable experience that only goes to make them better instructors at home on Britain’s crags (and especially in Scotland’s winter mountains). However, guiding in the Alps is the job of IFMGA carnet holders, of which the British Mountain Guides are amongst the best. Similarly, alpine trekking tours are the remit of the British Association of International Mountain Leaders.